Such representations don’t offer a clear impact on the visitors and many times the visitors may mistake these ads for some information related to the product list while the buttons the buttons could be considered as the sorting/filtering options. In fact, the visitor on your product list wants to quickly select the desired product, check the prices and complete make the buying decision. When you place the ad in within the product list the users can consider them as partitions denoting the end of the current page element. They may think that the portion below the ad might be a new page element that is not related directly to their search. 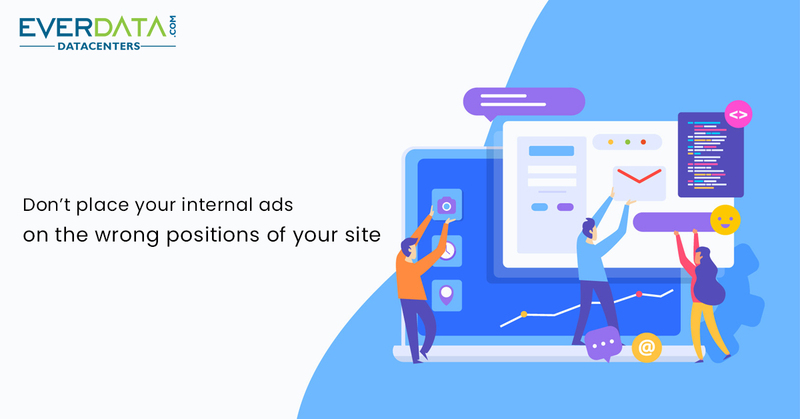 If the ad appears in the first fold of your product list page in the bottom pane then the visitors would most likely not consider scrolling down and it limits the number of produces they would consider thus powering the possibilities of purchase. Many e-commerce sites love to highlight the survey or subscription communication by displaying it as an overlay dialog box. However, most of the users not only find them confusing but in some case, they also take them as a spam. Many of them would instinctively press the escape button without even taking the trouble to pass a swift glance over the matter. Besides, it can seem like a clever attempt to compel the users for providing their information (name or email address) in order to browse the page. You may provide a read more buttons for the extra length of content but the first few lines visible in the first fold should be quick, clear and possibly presented in an interesting, quirky manner- both in terms of content and design. Many eCommerce sites put their king-size ads on the homepage considering that it is the first page on which the visitor land. Ironically based on the same argument it is not at all ideal to place your larger than life flashy ads on the Homepage! Visitors generally check your homepage to get an overview of your site, its products, and any latest offers but massive ad displays can intimidate them and spoil their first impression”! You cannot expect your visitors to be converted into the regular audience if you spoil their very first impression! Besides many sites do allow the external ads and the visitors may perceive such ads as a part of external ads. But that doesn’t mean that you should completely avoid displaying ads on your homepage. The only thing to keep in mind is that keep it relevant and graphically descriptive rather than turning it into a flashy, king-size ad. An ideal ad should have a crispy header in the left, product photos in the middle and present/discount prices/dates or other relevant information in the right position! Displaying the discounted, launches or other ads in the left sidebar is considered as the best practice provided that you offer a full-length ad that is either wrapped up in the first fold itself or displays all the key information and relevant buttons/links in the first fold. Consider supporting such ads with models/real life product images to clearly tell the visitors about the product/event/discount with which the ad is related. Use bold and good sized fonts and headings should be crispy and quick. Overlaying should be avoided the overlays ads for communication subscription, surveys or even participation. You might only consider them for communicating any key changes in policy or prod category deletion/addition. Period! Keep the content neat, clean and quick. Avoid king-size intimidating ads and don’t allocate them the unreasonably huge amount of page space. Make such ads retina-friendly and minimalist. You may also cozier using the marquee ads with an explanatory display like the limited offers can have a real-time timer.